Chatham Generator Service is the only way to ensure your generator will be ready to provide you with power when you need it the most. 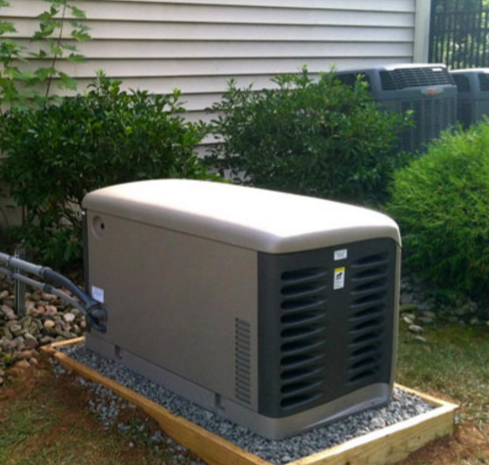 If you own a standby generator, it needs to be in working order at all time. Imagine trying to start your generator during a power outage only to discover that it doesn’t work. To help you avoid ending up in a similar situation, here are some signs that you need to have your generator serviced. There is damage to the exterior of your generator. In many ways, a generator can be your family’s main defense against crazy weather. However, if it isn’t protected from the outdoor elements like rain and snow, it can become damaged and stop functioning correctly. Look out for visible dents, nicks, rust or water damage. Regularly inspect your generator to see if it has been impacted by the outdoors. If you notice damages, call a professional Chatham Generator service provider. Check the self test. Many generators have convenient test feature that can determine whether or not it needs repair services. Consult the manual to determine if your generator has such a feature or not. If it does have a self test feature, learn how to initiate the self-test and read the results. Generator has trouble starting up. If your generator is having difficulties starting, or is running differently than you remember, then it is time to consider having it inspected from a trusted electrical contractor. Normal wear and tear can cause a generator to malfunction, but batteries can wear out as also. Issues with your generator are usually most noticeable at startup, so make sure to pay extra special attention as it starts to get an idea of whether or not you need Chatham generator service. 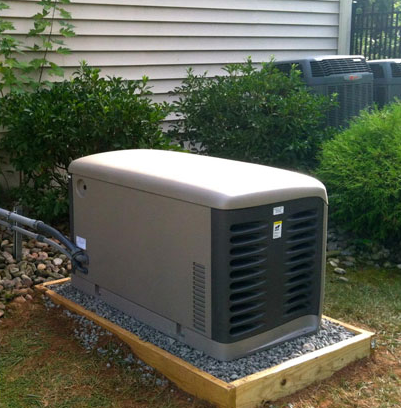 Looking for Reliable Chatham Generator Service in the Westfield NJ area? If you are looking for reliable Chatham generator services, look no further than Bold Generators. We have a team of experts who are fully dedicated to accurately process the permit requirements for each town’s specifications. We have both New Jersey state electrical and builders licenses. For more information on our services, you can call us at (908)421-9157 or visit the website. Chatham home generator maintenance is one one the most effective things you can do to ensure that your generator is ready to go when you and your family need it the most. If you fail to have your generator maintained, your generator will fail to provide reliable power and may even stop working altogether. During the bitter months of winter, a power outage can be devastating. Low temperatures and short days are no fun without any power – especially if the outage lasts for more than a few days. In the even of such an emergency, it is essential that your generator is functioning as it should. Below are some helpful Chatham home generator maintenance tips to keep you and your family fully prepared no matter what comes your way! Regularly change the oil in your generator. As the winter temperatures continue to stick around, oil becomes thicker. This in turn negatively effects lubrication and generator performance. An oil change is necessary every few months just like for your car. To change the oil, empty the oil into a pan. For more information, see the manual for you generator. Most generators take 2 quarts of oil. Natural or synthetic oil can typically be used, however, synthetic oil has been shown to work better in lower temperatures. Also remember to wait at least 48 hours after using the generator before changing the oil. In addition to changing the oil, you should also change the oil filter. Test the earth leakage relay. There is an important safety device on every generator called the earth leakage relay. This prevents electrocution and is important to the safety of you and your generator. It works by detecting stray electricity on metal enclosures and interrupt the circuit. It is essential to regularly test this device to ensure your safety in the even of an emergency. If you need help, contact a Chatham home generator maintenance provider. Change the air filter. Just like an automobile, the air filter is an important aspect of your generator. This keeps your generator working efficiently by regulating the air quality throughout the system. When the filter can no longer keep the air clean, it should be replaced ASAP. You should always double check your manual for detailed instructions to replace your specific air filter. Make sure the spark plugs work. Always have a backup spark plug ready to go. Spark plugs become corroded and dirty when used regularly. This can cause them to stop functioning correctly. If your spark plug is faulty, you may not be able to start your generator when you need it the most. If you notice that your spark plug is covered in a black substance, then it definitely needs to be replaced. Spark plugs typically last for a year, however it you use it often, it can need to be replaced sooner than that if it is used often. Looking for Chatham Home Generator Maintenance? history of installing and maintaining Kohler Stand-By Generators in the Chatham area. Bold Generators has a full-time office staff dedicated to accurately process the permit requirements for each town’s specifications. We have both New Jersey state electrical and builders licenses. For more information on our services, you can call us at (908)421-9157 or visit the website. Regular Berkeley Heights generator is very important to ensure that it provides reliable power throughout its service life. Power outages can be particularly devastating during the winter season. It is important to make sure that your generator is running as it should to prevent losing power with a broken one. 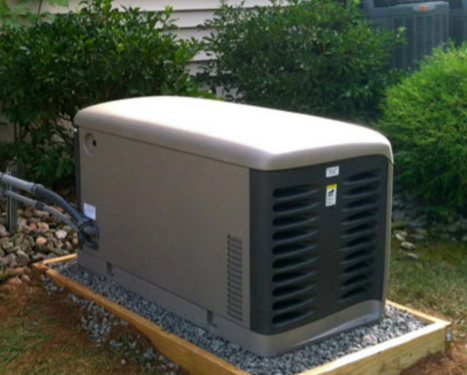 Here are some Berkeley Heights generator maintenance tips to make you ready for any storm. Change the oil. A standby generator is a fuel powered have the best possible optimum performance under cold temperatures. As temperatures fall, oil becomes thicker, which lowers lubrication performance. To do this, get a spill pan and empty out the existing oil. The manual will usually contain specifications for new oil. In most cases generators take 2 quarts of oil. Natural or synthetic oil can typically be used, but synthetics tend to perform better in extreme temperatures. If the generator has been running, it is important to wait at least 48 hours before changing the oil. Also, be sure to change the oil filter when changing the oil itself. Test the earth leakage relay. The earth leakage relay is an important safety device used in electrical installations to prevent electrocution. Its purpose is to detect small stray voltages on the metal enclosures, and interrupt the circuit as a safety precaution. It is important to test this device on regularly. You can get the help of a professional for this part of your Berkeley Heights generator maintenance. Replace the air filter. The air filter is an essential part of a generator, as it controls the air quality throughout the whole system. It should be replaced when it gets dirty and can no longer draw the needed amount of clean air. Some air filters are rings with no center, some have cnters and flat pieces. It is recommended that you check your manual to see how to replace the air filter or contact a Berkeley Heights generator maintenance professional. Check the spark plugs. It is recommended that you always have a replacement spark plug on hand. This is because the spark plugs in generators can be corroded or get dirty, even when used occasionally. Pull the plug and replace it with a new one. If it’s covered in a black substance or if it’s corroded, it needs replacing immediately. The lifespan of a spark plug is usually a year, but they may wear out sooner if they are heavily used. Looking for Excellent Berkeley Heights Generator Maintenance? Basking Ridge Generator Service is Important! There are many parts that can stop working. Generators seem like simple devices. But if you think about it a generator is a complex piece of machinery similar to an automobile. Just like you need to keep your car maintained, generators require the same level of maintenance – especially if they sit idly most of the time. Bold Electric, LLC. offers comprehensive generator service plans to ensure that your generator works when you’re counting on it most! A good generator is a lifelong investment. A generator can last well over 25 years if it is cared for in the proper way. If you neglect to have your generator serviced on a regular basis, it will only last a few years and you will lose out on the investment. You will find yourself paying for expensive repairs that could have been easily avoided by having it inspected. Bold Electric, LLC.’s Basking Ridge generator service plans are an affordable and effective way to protect your investment and save money. 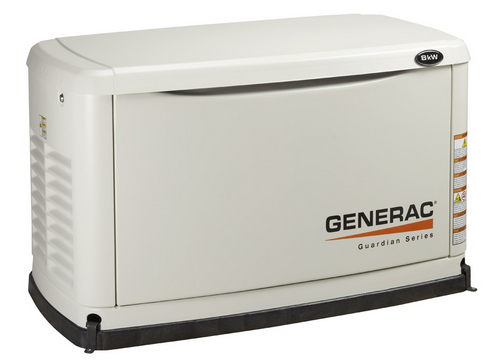 Generators provide you and your family with security. Don’t be without a power source when your family needs it the most! Protecting and providing for your family should always be a priority. Skipping out on generator service puts your family at risk. Power usually goes out during dangerous weather events such as heavy snow storms, floods or hurricanes. A generator is a vital component to your family’s well-being during these uncertain times. Many things can go wrong. Although stand-by seem like simple devices, they are, in reality, complex machines similar to a motor vehicle. Just like a car, generators require regular service to stay in proper working order? Bold Electric, LLC. 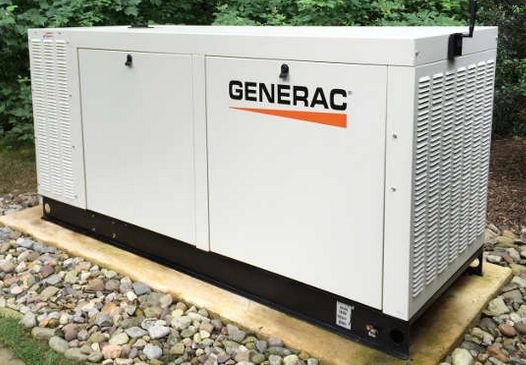 offers North Plainfield generator service plans to assure you that everything in your generator is working properly and is ready to go when you need it the most. Generators are an investment. A well maintained generator can last anywhere between ten to thirty thousand hours, which translates into over 20 years. If you do not have your generator regularly serviced, it will not last you and you will lose money. Not only will a well-maintained Stand-By generator last you years and give you peace of mind, but it will also prevent having to make expensive emergency purchases in the event of an emergency. Bold Electric, LLC.’s North Plainfield generator service plan is affordable and effective. Keep your family safe and secure. Don’t be caught off guard without power when your family needs it the most! Protecting your family is always something to prioritize. If you skip out on generator service, you are putting your family at risk. Blackouts often times happen during dangerous weather conditions like blizzards or hurricanes. During these uncertain times, a well serviced generator is vital to you and your family. Looking for Expert North Plainfield Generator Service? Call Bold Generators today to find out how you can invest in a well-planned, preventive service program for your generator. Bold Generators ensures that your equipment is running properly in the event that you need it. For more information on our services, you can call us at (908)421-9157 or visit the website. In addition to providing generator service in Warren, we service all of Central NJ including places like, North Plainfield, Scotch Plains, Berkeley Heights, Green Brook Bridgewater and more. There’s A Lot of Things to Check. Stand-By generators seem simple enough; they use gas to create electricity. The reality is that it’s a complex machine, just like your car. Would you let your car go a year without a check-up? Bold Electric, LLC. offers Warren generator service plans to assure you that everything in your home generator is working as it should be. It’s a Long-Term Investment. A well-maintained Stand-By generator can last from 10,000 to 30,000 hours. Generally speaking, that means your Stand-By generator, if it’s gotten proper Warren generator service, could last you at least 20 years. That is definitely a long-term purchase. Not only will a well-maintained Stand-By generator last you years and give you peace of mind, but it will also prevent having to make emergency calls which have higher rates than normal calls. If an emergency does occur with your generator, Bold Electric, LLC.’s Warren generator service plan members will get the service they need in a timely and cost-effective manner. Better Safe Than Sorry. Your family is the most important thing to you, so protecting them in any way possible seems like something to aim for. When you neglect regular Warren generator service, you are risking it not working when you need it the most. Most blackouts occur in terrible weather such as blizzards or hurricanes. It’s at these times that heat, information, and comfort are the most important to your family, and a Stand-By generator you can rely on is crucial. Looking for Expert Warren Generator Service? their generator maintenance service. Kohler Generators have the longest manufacturer warranties in the business and a power restore period of up to four times faster than other generator brands. We have a full-time office staff dedicated to accurately process the permit requirements for each town’s specifications. We have both New Jersey state electrical and builders licenses. For more information on our services, you can call us at (908)421-9157 or visit the website. In addition to providing generator service in Warren, we service all of Central NJ including places like, North Plainfield, Scotch Plains, Berkeley Heights, Green Brook Bridgewater and more. Westfield generators are one of the only surefire ways to protect yourself and your family in the event of an emergency, storm or power outage. A generator requires regular maintenance to ensure that it is always ready to go when you need it the most. Too many people put off generator maintenance until it is too late. When the power finally does go out, they find that their generator doesn’t start. The winter of 2017 was very harsh in New Jersey. There were many outages in the Westfield area unfortunately many people were stuck without power and without generators. If you want to protect your family by owning a generator, it is important to understand the different options available and what option would best fit your situation. Below, we will be looking at some of the pros and cons of the various types of generators. Bold Electric, LLC., is the most trusted name in Westfield generators. We have a full-time office staff dedicated to accurately process the permit requirements for specifications of Westfield NJ. We have both New Jersey state electrical and builders licenses. We provide the most reliable generator services in the Westfield area. For more information on our services, you can call us at (908)421-9157 or visit the website. In addition to providing generator maintenance in Westfield, we service many other areas such as Warren, Scotch Plains, Berkeley Heights, Green Brook Bridgewater and more. Are you looking for professional North Plainfield generator maintenance services? Bold Generators specializes in providing North Plainfield area residents with outstanding generator service to keep generators working properly and efficiently. In the middle of an emergency, a generator malfunction is one of the worst things that can happen. To avoid being stuck in a rough situation, make sure to keep up on your generator’s maintenance. Maintain the electrical components. When you have your unit worked on, the technicians will closely inspect all the electrical components including all wires, switches, and connectors. If anything needs repair or replacement, the technician will take care of it immediately. If you do not schedule regular generator maintenance, wear and tear will go unnoticed. When you need it most, these components might become overloaded and cause the generator to break down in a dire situation. Coolant or oil leaks. If you have a generator that has been sitting in the garage or shed for years at a time, it becomes vulnerable to leaks. Many times, generators leak oil or coolant which can cause overheating. Although it is possible to conduct a fast visual inspection, it can be difficult to identify leaks or assess how serious the leaks are. Regular generator maintenance service is the most reliable way to ensure that your generator does not spring any serious leaks. Problems with startup. Many times when generators go unused to long periods of time, the battery and other startup components can stop working. The battery can drain important engine parts can wear out. You may find that your generator does not start in the midst of an emergency situation. If your generator has been collecting dust for a while, you should schedule maintenance as soon as possible to make sure you have power when you need it the most. Want the Best North Plainfield Generator Maintenance? If you need North Plainfield generator maintenance services, call Bold Electric, LLC. today! Bold Electric LLC. is the parent company to boldgenerators.com. 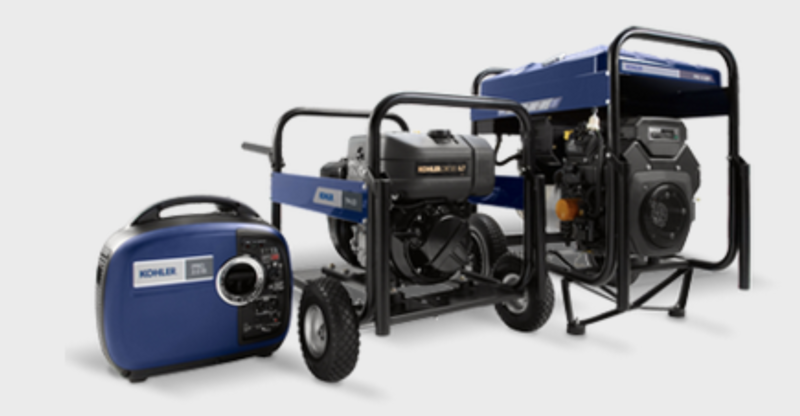 We are certified by Kohler to provide installation and maintenance for Kohler Stand-By Generators. Kohler Generators have the longest manufacturer warranties in the business and a power restore period of up to four times faster than other generator brands. We have both New Jersey state electrical and builders licenses. For more information contact u today at (908)421-9157 or visit our website. During the inspection of your generator system, technicians will take a close look at the wires, buttons, and other electrical elements. They’ll look for any worn electrical components that need attention. Skipping generator maintenance means that nobody will be able to see the signs of damage your generator might have, such as frayed wires, loose connectors, buttons that stay stuck when you press them, or overloads that shut the generator down at the wrong times. The older a generator gets, the more vulnerable it is to leaks from a hose, line, or storage pan. These leaks might include oil or fuel depending on the type of generator you have, as well as the coolant that keeps your engine block from overheating. While you can conduct a visual inspection, you may not know what to look for or understand how severe a leak is. Scheduling maintenance for your generator is the best way to address this issue. Warren Generator Maintenance | Start-up Problems. When generators sit without being used or inspected for an extended period of time, the lack of use can drain the battery and damage parts of the system’s engine. As a result, you may come to a time where you really need your generator, only to find that it has trouble starting up, if it start up at all. Warren generator maintenance is vital if your generator has been collecting dust for a while. Want the Best Warren Generator Maintenance? 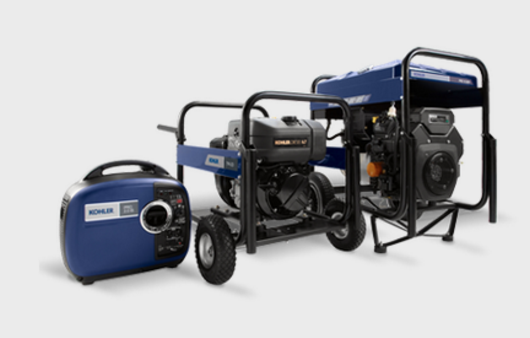 Bold Electric, LLC., the parent company to boldgenerators.com, has acquired a reputable history of installing Kohler Stand-By Generators and are also certified by Kohler to provide their generator maintenance service. Kohler Generators have the longest manufacturer warranties in the business and a power restore period of up to four times faster than other generator brands. We have a full-time office staff dedicated to accurately process the permit requirements for each town’s specifications. We have both New Jersey state electrical and builders licenses. For more information on our services, you can call us at (908)421-9157 or visit the website. In addition to providing generator maintenance in Warren, we service all of Central NJ including places like, North Plainfield, Scotch Plains, Berkeley Heights, Green Brook Bridgewater and more.